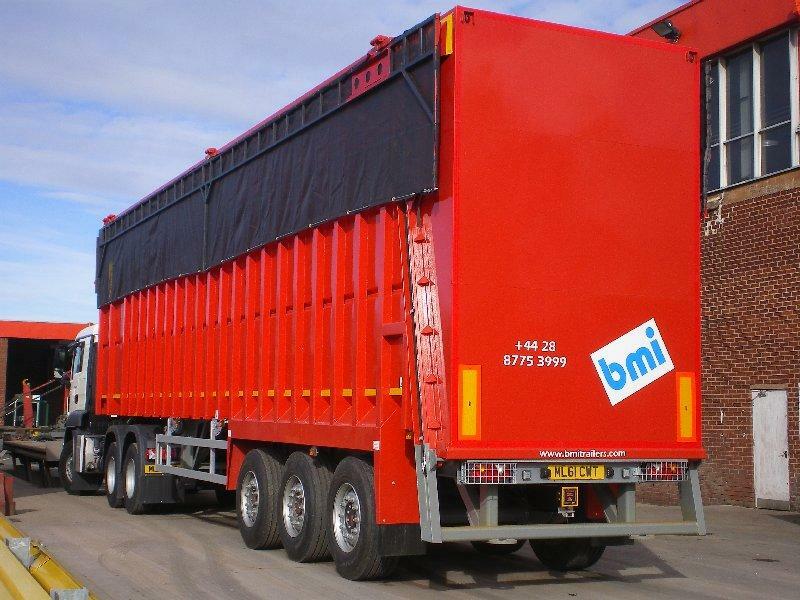 Recently, the bmi group has supplied 6 new ejector trailers to Pro Hire Plc , the contract hire specialists on a Biffa contract. 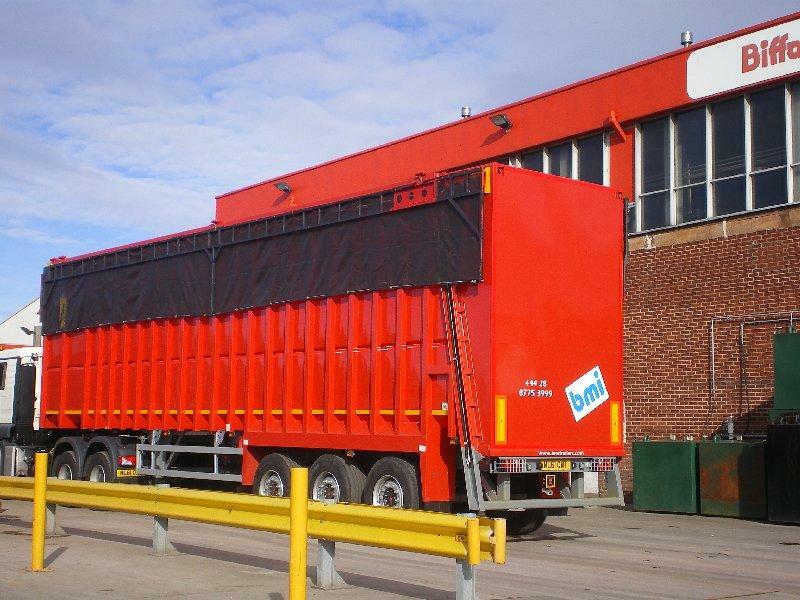 The trailers supplied are 120 CuYd capacity with donkey engine power units and hydraulic ½ net sheeting cover systems. Each trailer boasts a full remote control in-cab operations, which are achieved via a hand held remote unit that controls rear door opening, blade ejection and retraction. This feature can also be made to operate the sheeting system if required. The trailers will be operating at a number of different Biffa sites throughout the UK. This contract is the first supply to Pro Hire but others are in the planning.